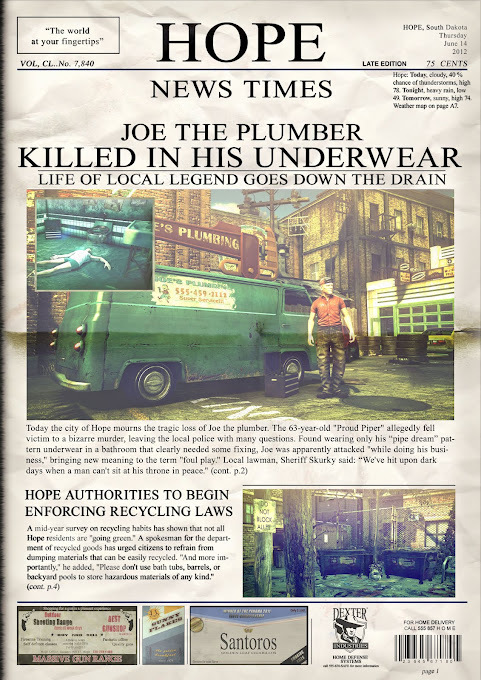 Below you'll find an image of HOPE, the fictional newspaper featured in the upcoming Hitman: Absolution. The featured article details the suspicious death of Joe the Plumber, most likely the latest hit pulled off by Agent 47. How would you take him out? 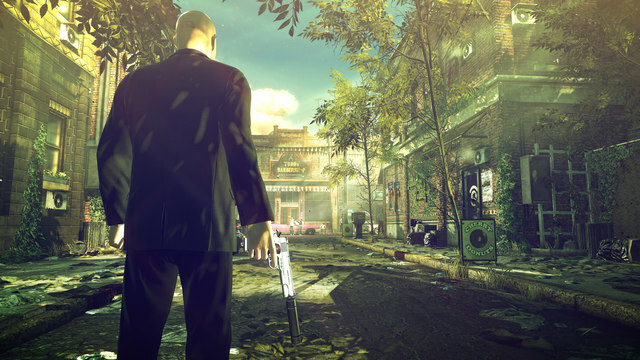 Hitman Absolution is set to be released on November 20th, 2012. "Today the city of Hope mourns the tragic loss of Joe the plumber. The 63-year-old 'Proud Piper' allegedly fell victim to a bizarre murder, leaving the local police with many questions. Found wearing only his "pipe dream" pattern underwear in a bathroom that cleary needed some fixing, Joe was apparently attacked "while doing his business", bringing new meaning to the term "foul play." Local lawman, Sheriff Skurky said: "We've hit upon dark days when a man can't sit at his throne in peace."(cont. p.2)"